Mitigating Impact from Development: The "Old Coe Place"
Features identified within the impact area include three fieldstone foundations. The southern foundation was located adjacent to a discontinued portion of Coe Lane, with collapsed side-walls obscuring most of the foundation. Excavation units placed in this area revealed a high density of material including a variety of household ceramics, glass, and metal artifacts. The assemblage also included numerous personal items such as a thimble, brooch, buttons and other clothing fasteners, and a postage stamp case which was produced and used as currency during the Civil War when ammunition production needs caused a shortage in metal for coins. More significantly, this area produced numerous shoe tacks and partially finished shoe-leather parts indicating manufacture within a household setting. A standard mean date formula was applied to these materials, suggesting an occupation from about 1770 to 1830. Similar household materials were recovered from the northern foundation, although the mean date for this area suggests a range of occupation from about 1820 to the late 19th Century. In conjunction with information from 19th Century maps showing slightly different positions of the Coe residence, it became clear that the northern structure was built as a replacement for the southern structure which lay in an area revealing burnt brick and mortar fragments. 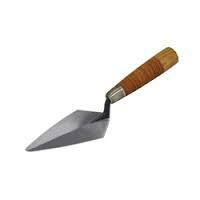 A 'ten-footer'. These structures were commonly built in the mid-19th Century by small, independent shoe manufacturers who hired travelling specialists to perform specific tasks in the sequence of shoe-making. A foundation recorded at the 'Old Coe Place' supported a ten-footer similar to the one shown in front of a 20th Century shoe factory. There was a general lack of shoe manufacturing items recovered in the north foundation area, attributable to the presence of the third foundation which contained shoe tacks. This smaller foundation measures only 10 feet across, and through extensive historic research was determined to represent a "ten-footer". 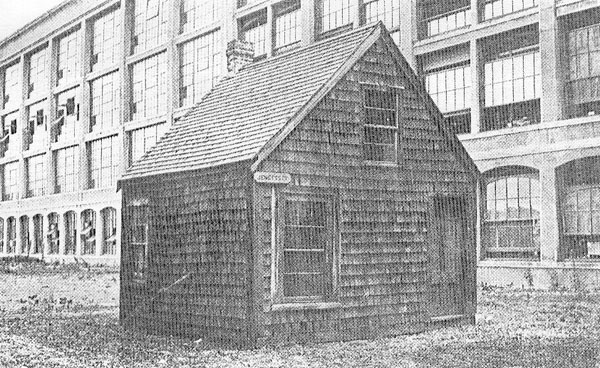 These structures became quite common throughout New England during the mid 19th Century as the cottage shoe industry began to specialize. Travelling teams of specialists toured distinct geographic areas, performing singular tasks at ten-footers of individual proprietors. By the end of the 19th Century, however, small manufacturers could no longer compete with industrialized shoe factories in major market centers, probably contributing to the abandonment of the site by the Coe family. 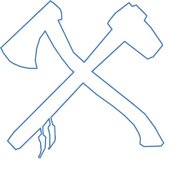 The site represents an important trend of change in the economics of shoe manufacturing that similarly occurred with other industries - evolving from a small cottage industry of the late 18th Century, becoming more specialized during the mid 19th Century, and eventually becoming fully industrialized by the 20th Century. 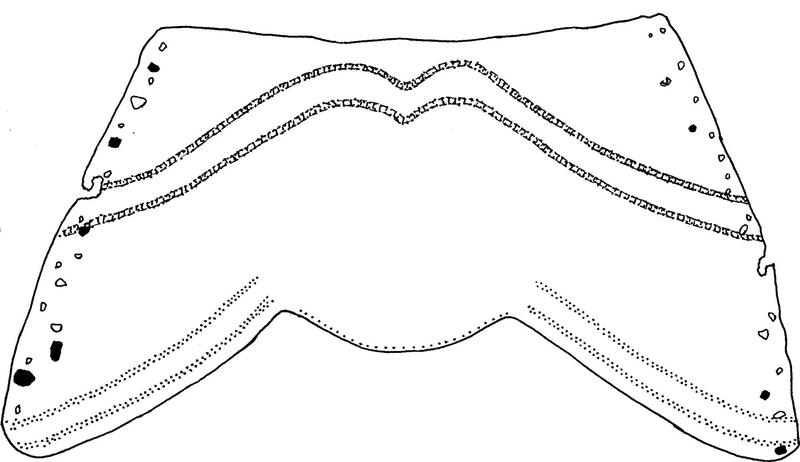 Towards the interior of the shelter, a burial was exposed which represents a secondary interment as indicated by transposed and reversed skeletal elements arranged to reconstruct a semi-flexed position. The Plains Woodland burial feature was radiocarbon-dated to 1,420 + 70 B.P., corresponding to the occupational gap recorded in the front of the shelter. The moist conditions of the shelter today in an otherwise dry setting, together with paleoenvironmental evidence in the form of pollen cores and mollusc sequences for the surrounding region, indicate that the shelter may have been too moist for consistent occupation during much of the Plains Woodland era, accounting for the occupational gap and use of the shelter as a burial site during this period. Conical mortars in the bedrock beneath the burial feature provided the first direct evidence for the region that balanophagy, or acorn processing and consumption, may have been practiced as early as the Late Archaic. Other subsistence evidence from the site revealed continuity through time, including a focus on deer and small mammals during fall or winter. Despite these aspects of subsistence continuity, the site revealed aspects of technological change including a variation in projectile systems and their curation, and the introduction of ceramics. The location of the site in an ecotone setting, consisting of tall grass prairies and oak-hickory forests, encouraged a continuity of subsistence practices through time despite technological changes which were the result of cultural trajectory and diffusion within the broader region. Graphic showing the chronological interpretation of occupations at the rockshelter. 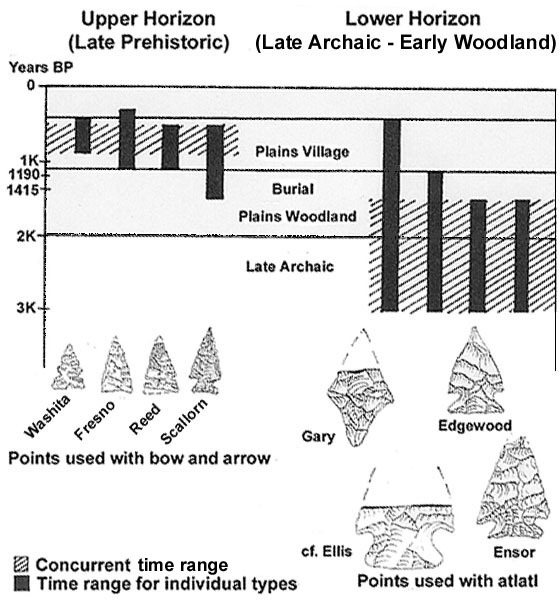 Concurrent time ranges of representative projectile points indicate a Late Archaic to Early Woodland occupation (ca. 3,000 to 1,500 years ago), followed by a Plains Woodland occupational hiatus during which time the shelter was used for a single burial (ca. 1,500 to 1,200 years ago), and a Late Prehistoric occupation (ca. 1,100 to 400 years ago). Through background research into available death records and cemetery indices, ACS was able to confirm that at least 23 burials occurred somewhere on the property, but was also able to document almost twice as many individuals on the submitted lists who had been buried in their hometown cemeteries or who had no apparent affiliation with the school. Excavation units were placed in relation to ground penetrating radar (GPR) results which revealed anomalies in an area thought to represent the principal burial grounds. The density of artifacts and interment features encountered in the excavation units indicated that the estimated 50 to 60 graves at the school may have been entirely contained within the burial grounds. Mass salvage testing of the adjacent 11.5 acre impact area also indicated that burials were not within this broader area. 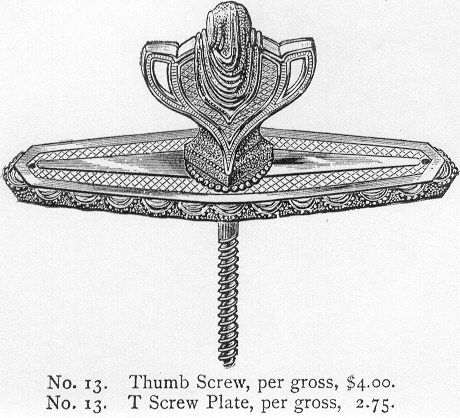 An example of a late 19th-Century casket trimming or decorative hardware recovered from a grave feature at the site. The piece was manufactured by the Meriden Britannia Company as illustrated in an 1880 company catalogue. The grounds of a large hospital project in Meriden, Connecticut served to support the Connecticut School for Boys between 1853 and 1973, during which time between 86 and 156 adolescent males are known to have died at the facility. 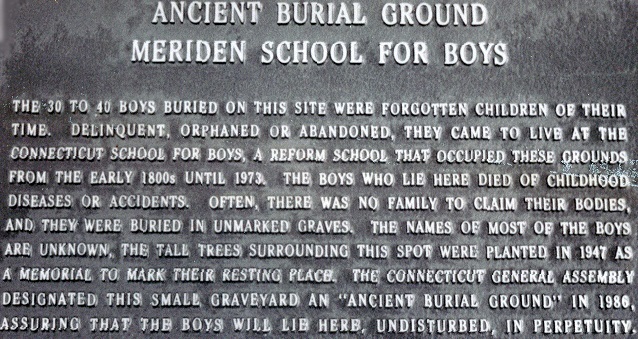 Outraged by the pending development, local citizens produced lists of many boys who were suspected of being interred throughout the facility without grave markers, although ACS successfully mitigated the controversy through extensive background research, varying field testing methods, and public communications efforts. Conical bedrock mortars within the Hokiahse Rockshelter. These features were used to process acorns for consumption, a practice known as "balanophagy". The directors of ACS conducted an excavation of a rockshelter in northeast Oklahoma which had been partially looted. 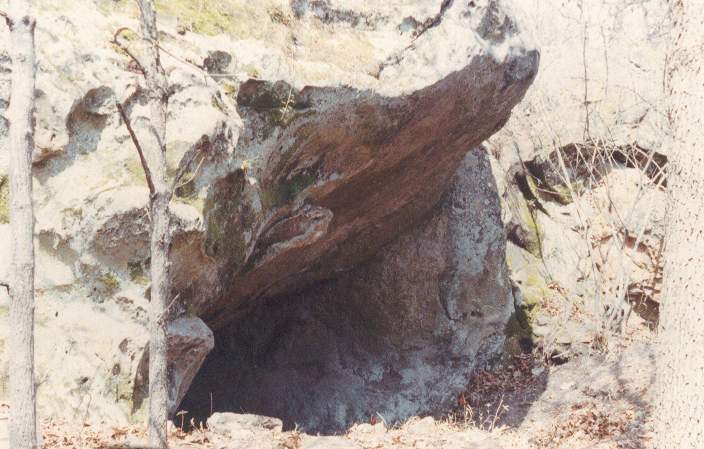 The rockshelter contained Late Archaic to Early Woodland (ca. 3,000 to 1,500 years ago), and Late Prehistoric (ca. 1,100 to 400 years ago) components, separated by a moderate occupational hiatus corresponding to a time when the shelter was too wet for habitation but was instead used as a burial site. The Phase III data recovery program is a mitigative effort to document a significant archaeological site so that important cultural information can be sufficiently recorded prior to impact or destruction by a development project. During the course of the project, ACS took extra time and care to provide concerned citizens and local media with explanations and eyewitness access to the various phases of the project. Thus through extensive research, various excavation techniques, and communications efforts, ACS was able to provide burial location information for those concerned with the final resting disposition of the young men who had died at the facility. In addition, ACS was able to submit recommendations to preserve the cemetery area and at the same time to allow this large scale development project to take place with only minimal alterations in its design. When sites are determined to be significant and eligible for inclusion in the National Register of Historic Places (NHRP) based on the criteria set forth by the U.S. Secretary of the Interior, National Park Service (see National Register Bulletin 16A:35-51), they are afforded a status warranting protection under the National Historic Preservation Act (NHPA) of 1966. Most of the cultural resources which successfully complete the NHRP nomination and registration process are standing historic structures, districts of historic buildings, or other monumental structures and landscape features, largely because of a greater visible presence in a given community. Limitations in government funding have thus far prohibited any reasonable expectation of completing the registration process for the vast number of eligible archaeological sites, a problem that the professional archaeological community is addressing through federal and state lobbying efforts. Nevertheless, the mere identification of an archaeological site as eligible for inclusion in the NHRP has resulted in the protection of significant archaeological resources by State Historic Preservation Offices (SHPOs) throughout the United States. Besides public visibility, another difference between archaeological and historic architectural resources lies in an emphasis on the value of anthropological data. In other words, the principal importance of most archaeological sites is deemed to stem from the information provided regarding patterns of past cultural behavior rather than an inherent value in the recovered objects or artifacts. While these items do offer the potential to create important educational displays and allow future researchers to conduct important studies of material culture, much of their value lies in the depositional context in relation to other artifacts and features which help archaeologists reconstruct past lifeways. Given this emphasis, the destruction of an important archaeological site is mitigated if a data recovery program or Phase III archaeological evaluation records enough information so that its complete or partial destruction will not result in the loss of a significant amount of archaeological data. Thus a Phase III data recovery program provides a viable alternative for the final disposition of an archaeological site even if it is deemed significant enough to be included in the NRHP. The above list provides examples of past projects where the directors of ACS engaged in successful data recovery programs of endangered sites. The need for data recovery can arise from a number of situations other than a legitimate sequence of phased archaeological studies as mandated by a governmental regulatory review process, including emergency salvage operations where there is evidence of looting, or cases where the determination for a need of cultural resource evaluation is not made until well into the construction or development process. ACS conducted a Phase III mitigation of the "Old Coe Place" in Ansonia, Connecticut. Background research during a Phase I survey revealed that this was the site of the Coe home-stead and shoe shop from the mid 18th through late 19th Century, although functional variability between different parts of the site could not be assessed without further evaluation. Impact of the area could not be avoided through alternative design planning, thus ACS was engaged to document the site so that its partial destruction would not result in the loss of valuable data. A 'vamp', or partially finished leather shoe part from the 'Old Coe Place'.